Home » News » Software » Umax to finish Realms of Adventure? Help wanted! Umax to finish Realms of Adventure? Help wanted! 3. Areas have to be designed. (drawn on paper, with explanations of stuff that happens etc). This is a very important aspect, and is really fun to do. Describe what the area looks like (the more detail the better). Describe stuff that happens in the area. Describe quests linked to that area, etc. 9. Any general idea or input is always welcome. Maybe you have a great idea for an item, weapon or enchantment? A character or basic quest idea? let us know! If you think you can help out on one or more of these points you can send an e-mail to Sunrise stating the points on which you would like to help (e.g. 3, 5, 7). The amount of reactions to this call for help will decide if the second part of Realms of Adventure will actually be developed and finished. If enough people sign up and offer their help, Sunrise will contact them seperately with information on the parts they will be working on. This way the final result will be exciting to all the people who helped developing the game, as they have never seen the 'complete picture' until it's finished. Sunrise will co-ordinate this huge project while Umax will tie all entries together. If all goes well perhaps even more parts will be released in the future. By the end of September Sunrise will decide whether or not enough people have offered their help and give a Go (or no-go) to the project. So, what are you waiting for? This could be your chance to help out on one of the biggest RPG games ever created for MSX! hm.. will it also be the first 640kb Moonsound game ? not as in: "does it support 640k?" (it does! ), but as in: "is this the first game using 640k?" 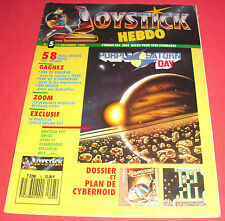 or... will this be the first CD-rom/Flash-Card game (when using 640k) ? considering the size of the media involved, you don't want old snaildisks..
Hmz.. great to see that the developer still feels like finishing the game but.. eh, if I read about what has to be done, just one counter-question comes to my mind: "what has been done?" You know wolf, that are the details, But that is first an internal question between developers as well as that other issue of the needed ram . Indeed ... however, ppl might be more interested in cooperating if certain things are clear. If it's a fact that the game requires slightly more hardware (and thus will be of a way better quality!) then it might attract ppl. 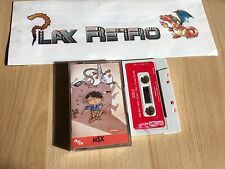 The MSX Revival does really nice things to people... Maybe X-Tazy can ben revived as well this way? I'd really vote a big YES to see that one finished.